Cutting Hard and Stainless Steels There are 3 products. 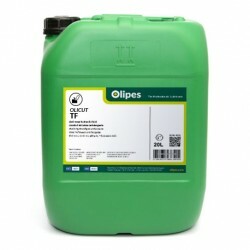 Olicut TF is a highly fluid cutting oil, with a content high in anti-corrosive additives, antifoams, antioxidants, bactericides and others that give it extreme pressure properties. Olicut ES is a specific lubricating oil for high severity machining operations. Olicut 545 is a specific lubricating oil for high severity machining operations.